The producer is the business head of the film, the person who assembles all the pieces of the jigsaw, be they the script, actors, cash, director… And a good producer is also a creative person who may not know how to ‘do it,’ but knows what needs to be done. A good producer is also an artist. Not a frustrated director, but a kind of business minded reflection of the director. They know what a great movie is and they will strive for it. They will always have the best interests of the movie at heart (and not their ego), they are pragmatic and at best, can work with the director to make the most of this opportunity (opposed to in conflict, and that also means that the conflict doesn’t come from the director too). Producing a low budget film is a thankless task. You have no money. You have no real creative control. You’re inexperienced, so you make lots of mistakes that eat into your non-existent budget. Most cast and crew distrust you at best, and at worst, downright hate you! And to add insult to injury, no matter how hard you work on the film, not matter how much of your creative influence is embodied in the film, no matter whether you mortgaged your grandmother to pay for it, the director will get ALL the glory. Get used to it. No-one knows or cares who the producer is and people perceive the director as the entire creator of the work. If you want to drown your sorrows there too, having had the same treatment. The director is god, everyone else made coffee (except the camera person and actors). At least that’s the way 99% of the world will view it. So why do it? It’s a good question. The truth is, I’m not sure. Yes, a low budget film can be a stepping stone to bigger and better things, but more often than not, it isn’t quite that. The experience can be invaluable, but so can the life of changing experience you would no doubt get from a car wreck. I guess it comes down to this. You just really want to do it and the challenge alone is sufficient fuel for the journey and the respect and acknowledgment of your very close peers who know ‘the truth’ will give you the measure of glory that you will be ‘cheated out of.’ And without doubt, there is a heady sense of achievement from attending the premiere for you movie, or the opening night of your theatrical release, or by renting it from your local video shop, and by finally ringing round all your friends to tell them that your movie is on TV next week. 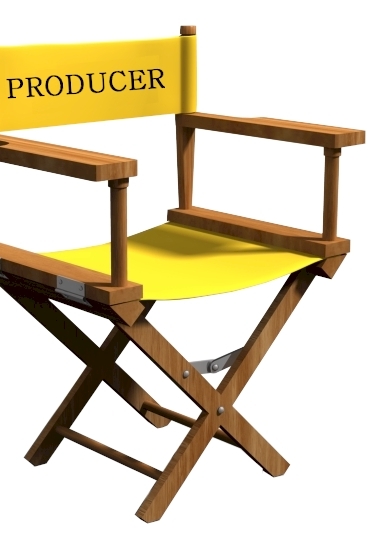 The producer is the most powerful person in the film crew. They are the business and management head of the production. Whatever the problem, the buck will stop with the producer. ULtimately, they are the people who have the power to sign cheques, and hire or fire. But there’s so much more to it, most of which is downright unpleasant, except for the pathologically optimistic career motivated ‘I want to be a producer’ types. Fundamentally, producing can be often about as far away from filmmaking as you could possibly get whilst remaining theoretically within a film crew. You never get to hang out where the action is at, or ever get near to a camera or actors. The producer’s primary tool is a telephone, not a camera. Put together a business plan outlining your overall strategy, timescales, cashflow, statistics, targets, short and long term goals, plot synopsis, storyboards, casting ideas, etc. This will help when you speak to bank managers, accountants and investors. It will also force you to consider the long term issues faced by you and your business. Let’s just assume for the purpose of this chapter that there is a film making that is producer and director, and together they are the writers. The director is perhaps the more talented writer, the producer being good at creative broad strokes and criticism. Nonetheless, together they are considerably stronger together than they would be alone )a fact that can often be forgotten). When it all goes horribly wrong and someone has to do the dirty work, probably YOU…YOU will feel like quitting because YOU feel you are doing much more than your partner(s). Will you be better off alone? No, you won’t I fear. Stick it out. Keep the peace. Build bridges. So much of producing is just good old common sense. Look at the script. How are you going to do it? Can you do it? Make calls and see if what appears to be impossible is actually possible. Ask other film makers about their problems. Ask professionals for advice and help. If you make the right approach (polite and flattering) you will almost always get good free advice. The primary tool of the producer is the telephone. It’s amazing just what you can get for free if you make the right approach. Always be courteous, professional, cheeky and respectful, and follow up any help with at the very least a thank you letter. It will be the producer’s job to keep a tight grip on the financial reins. Wherever possible, you should seek to avoid payment of anything (bills, etc.) until after the shoot. Whatever your budget, I would lie about it and claim it is less. Everyone involved will base their calculations on your budget- what they think they or their equipment is worth, or how much budget their department should have. Understand that you will run out of money and that no all debts will stop you dead in your tracks. It’s not a popular thing to say, but if push comes to shove, you want to be paying the people who stand in the way of completing your film and pay in second position the people who are just complaining that they have not been paid but can’t do anything about it. This is financial crisis management. It will happen. Please don’t send me angry e-mails about this. I am not suggesting it as a cunning way to do crafty business, it is an observation of what will probably happen and the best way to deal with it for all concerned. but according to Chris Jones – it’s appropriate in film. tell the truth to vendors and feel the burn. because a film production task is always quite the test. Money. What money? You’ll run out quick and easy. and I just wanted to exhale this guerilla release. Are you ready to produce a film? Be sure to have lots of fun. Just follow the cinematic steps: 5-4-3-2-1. 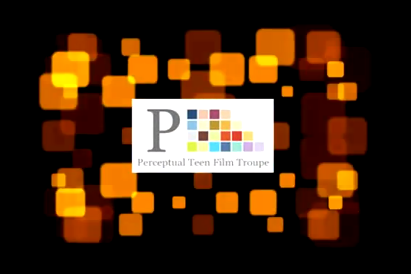 Are you a Teenager interested in filmmaking? 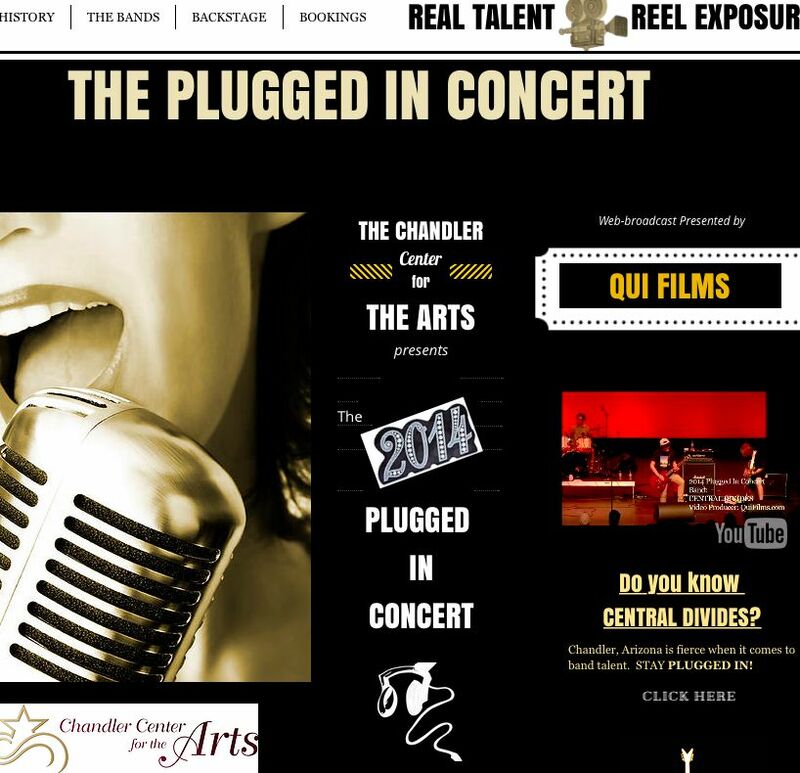 QUI FILMS is building a Teen Film Troupe that will write, direct and produce their own films. AUDITIONS start in November in Downtown Chandler, AZ @ Gangplank Email: QuiFilms@gmail.com to schedule an interview/audition (Ages 13-18). Auditions start: NOVEMBER 1st. 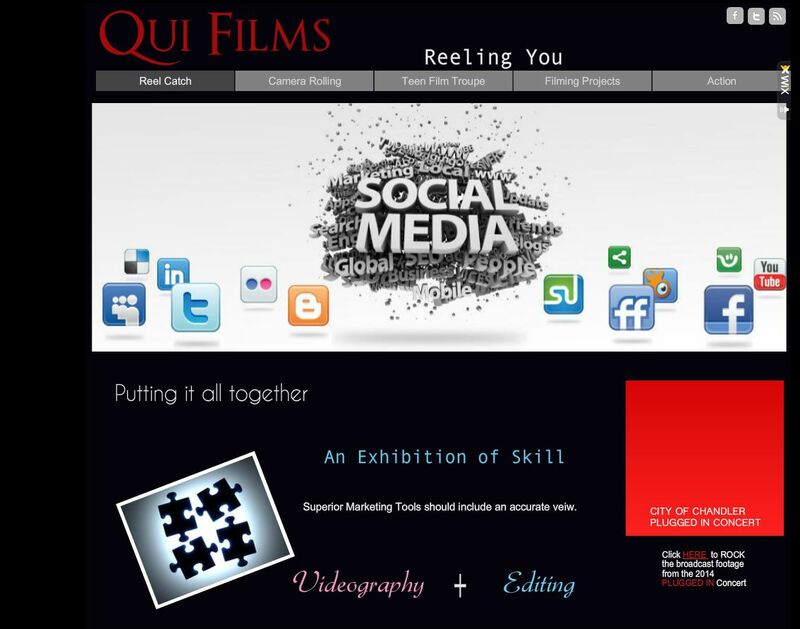 Be apart of something #REEL and pick up some new #SKILLS. Visit http://www.QuiEntertainment.com/quifilms for more info.